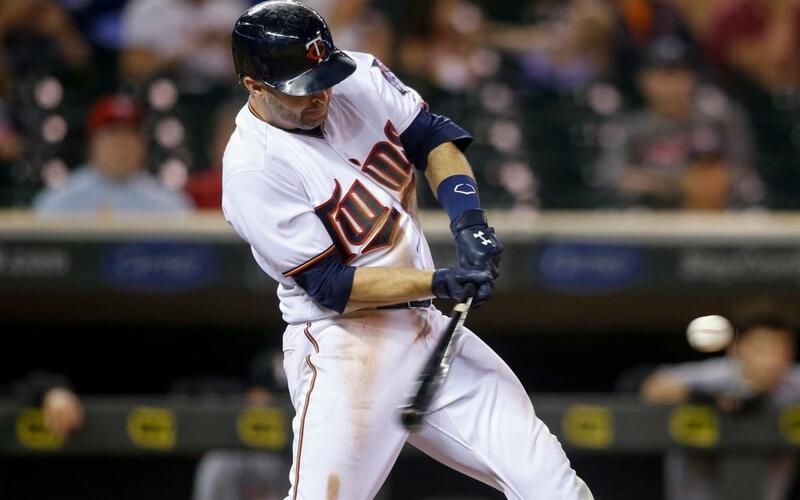 Brian Dozier(2B-MIN): Brian Dozier went 2-for-4 with a solo homer vs. the Blue Jays. The 30-year-old is second in homers at second base with 31, trailing only Jonathan Schoop. While Dozier is slightly behind last year's HR pace due to an increase in his ground ball rate, he has turned himself into one of the premier power hitters at any position thanks to a pull rate of 51 percent and a hard hit rate of 34 percent. Add in the improvement in his chase rate from 29 percent in 2016 to 23 percent in 2017 and his ability to steal double digit bases, and you have one of the more underappreciated fantasy assets in the game. Not flashy, just solid. Carson Fulmer(SP-CHW): Carson Fulmer took a no-decision after allowing one run on four hits and one walk with five strikeouts over six innings against the Tigers. The 23-year-old has allowed two runs while posting a 14:4 K:BB ratio over his past two starts spanning 12 innings. The White Sox have committed to starting Fulmer for the rest of 2017 as they gauge his role for 2018. I know the numbers from Triple-A don't look too appealing--6.68 K/9, 4.64 BB/9 and a 5.79 ERA--but there is a reason Fulmer was the eighth overall pick in the 2015 draft: he has elite stuff. With four pitches to work with and Don Cooper on the case, there is potential here. Keep an eye on how Fulmer handles LHH down the stretch, and deploy him if you're playing catch up. The risk is worth it. Greg Bird (1B-NYY): Greg Bird (back) went 1-for-3 with a solo homer, two runs and one walk vs. the Orioles, returning to the starting lineup for the first time since last Sunday. 2017 has been a lost season for the 24-year-old who showed so much promise in the spring. But, what matters is now, and if you're in a pinch for power, give Bird a look down the stretch. He continues to demonstrate an excellent understanding of the strike zone (21 percent chase rate) and makes hard contact on a consistent basis (34 percent). He'll also be a player I etch into my late-round values list heading into draft prep season. The skills are there. All he needs is good health. Mike Zunino(C-SEA): Mike Zunino went 2-for-4 with a double and one run against the Astros. The powerful catcher has turned his season around in the second half, increasing his wOBA from .314 to .404 thanks to a doubling of his EYE from .17 to .35. His contact issues remain (64 percent), which makes him more of a two-catcher play for now. However, the power looks legit, so if he can continue to make gains in his plate discipline and improve his contact skills, he'll turn himself into a number one option in standard formats. Put him on your value lists for spring. Reynaldo Lopez(SP-CHW): Reynaldo Lopez ($6800) looks like a sneaky tournament play today for his matchup in Detroit. While he has been inconsistent with the punchouts, Lopez has allowed more than three earned runs just once through his first five MLB starts. Detroit is 25th in total offense vs. right-handed pitching and seventh in strikeouts. Lopez has the stuff--he struck out 9.74 per nine innings at Triple-A this season and has posted a 10 percent swinging strike rate through his first five MLB starts--to deliver solid ROI today while allowing you to pay up for the top bats.